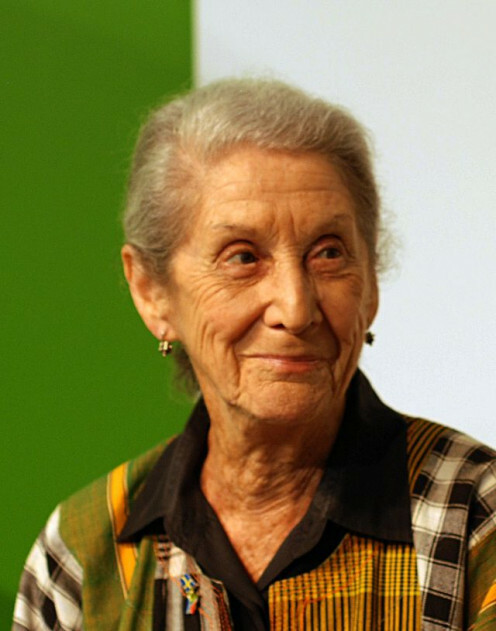 Nadine Gordimer, 1991 Nobel Laureate in Literature, and anti-apartheid South African writer, recently has passed away. "She makes visible the extremely complicated and utterly inhuman living conditions in the world of racial segregation." At the very same time that America was going through the growing pains of racial equality with Martin Luther King, Jr. and his famous marches and speeches, a white South African writer was crying out against the harsh and brutal laws of apartheid in her own country. She wrote about what she knew and she knew of the horrible "color bar" and divide in her country that was hurting the most vulnerable in her nation. It was the segregation of black Africans, plain and simple. The blacks and the black children lived in dire poverty and repression by a government, the Afrikaner Nationalists, who made "apartheid", the Afrikaner word for "apartness", the law of the land in South Africa. Her many writings against the stranglehold of apartheid in her country led to her winning the Nobel Prize in Literature in 1991.
Who was she? Nadine Gordimer was the strong voice of anti-apartheid and the strong conscience and voice of her country who has recently passed away but must be noted. Her many brave short stories and novels dealt with the moral and racial issues, particularly apartheid, in South Africa. And when he was released from prison, Nelson Mandela went first to see and meet with Nadine Gordimer because her writings and participation in the anti-apartheid movement were so important to bringing about the repeal of the apartheid laws in South Africa and his release from prison. The Nelson Mandela Foundation said of her recent death, "We lost a great writer, a patriot and strong voice for equality and democracy in the world." Through her writings, Gordimer exposed apartheid to a global readership and illuminated the brutality and beauty of her country. Despite her hatred of apartheid, Gordimer was proud of her heritage. "It is only here (in South Africa) I can be what I am: a white African," she said. The long life of Nadine Gortimer, author of more than two dozen works of fiction, including novels and collections of short stories, in addition to personal and political essays and literary criticism, began inauspiciously with her birth near Springs, an East Rand mining town outside of Johannesburg, South Africa. Her parents were Jewish immigrants to South Africa. Her father, Isidore Gordimer was a watchmaker origionally from Lithuania and her mother, Hannah (Myers) was originally from London, England. They were a middle-class South African family. South Africa and which led her to found a creche for black children. Gordimer watched all this happen in her household and because of this was also influenced to be active against South African apartheid. Gordiner was educated in a Catholic convent school until about the age of ten. She then was kept at home by her mother who was convinced she had a weak heart. At home, Gordimer was isolated and lonely and she began to write at an early age to combat this. Her mother had exaggerated Gordimer's health problems because she wanted to keep her at home because she was so unhappy in her marriage. 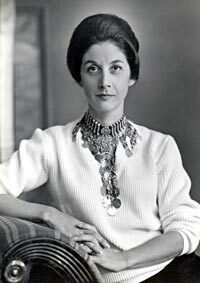 Gordimer published her first stories in 1937 at only fifteen years of age. The Quest for Seen Gold was her first published story and it appeared in the Children's Sunday Express. At age sixteen she had her first adult fiction published. She went on to study at the University of Witewatersrand and for the first time she experienced mixing with fellow professionals across the color bar. During her one year at university she experienced the Sophiatown renaissance. 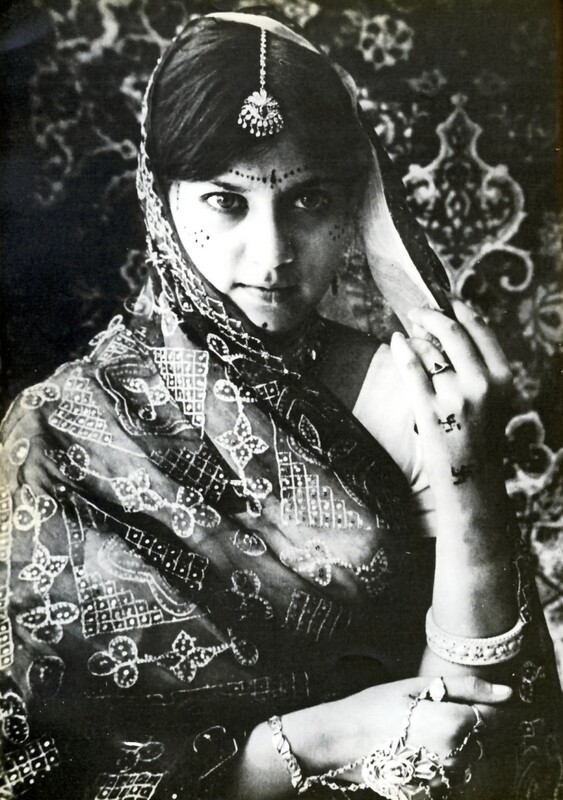 She did not complete her degree, instead moving to Johannesburgh in 1948 and lived here the rest of her life. She continued taking classes in Johannesburgh and continued to write, publishing mostly in local South African magazines. 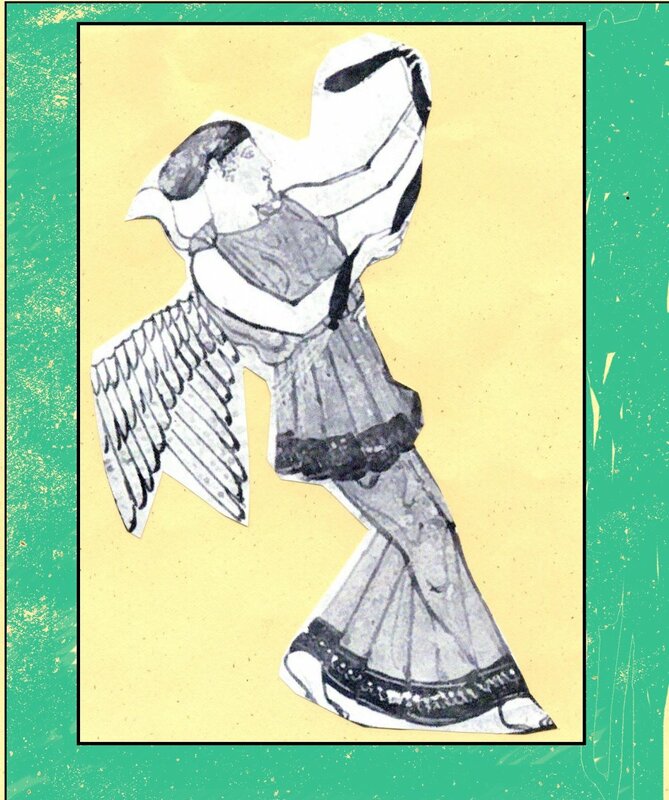 She wrote a collection of short stories and they were published as Face to Face in 1949. She was briefly married (three years) to a local dentist, Gerald Gavron, and they have a daughter, Oriane (b. 1950). She continued publishing short stories and her stories were picked up by the New Yorker magazine. They first published her short story, A Watcher of the Dead, and this began a long publishing relationship with the magazine and gave Gordimer a much larger international audience. Gordimer's first novel, The Lying Days, was published in 1953 by Lulu Friedman, and it is through her publisher that Gordimer met other anti-apartheid writers. She married Reinhold Cossirer in 1954, a highly respected art dealer who established South Africa's Southeby's and later ran is own art gallery. He was the love of her life and they remained married until his death in 2001. They had one son together, Hugo, (b. 1955) who is today a filmmaker in NYC and with whom Gordimer collaborated on at least two documentaries. It was the arrest of her best friend, Bettie du Toit, in 1960, and the Sharpeville Massacre that brought Gordimer into the anti-apartheid movement. She quickly became active in South African politics and was a close friends with Nelson Mandela's defense attorneys, Bram Fischer and George Bizos during Mandela's 1962 trial. Gordimer helped Mandela edit his famous speech, I Am Prepared to Die given from the defendant's dock at his trial. She then was active in fighting for his release from prison for the next twenty some years. 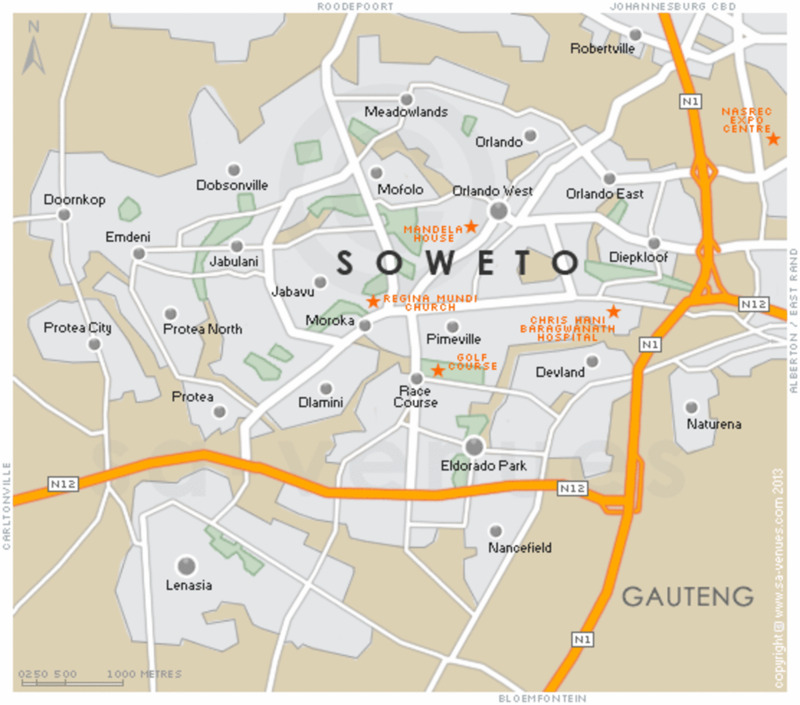 During the 1960s/70's Gordimer continued living and writing in Johannesburg, leaving for short periods of time to teach at several U.S. universities. It was also during this time that she joined the African National Congress (ANC) during the days when the organization was banned by the government. 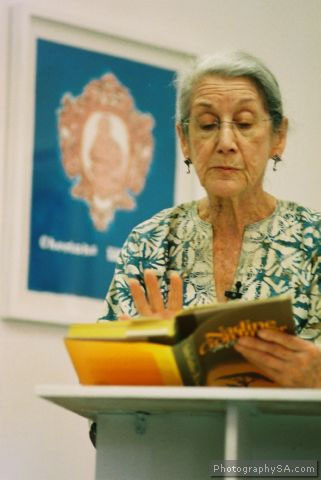 The South African government was hoping to shut Gordimer down as a South African writer, but, Gordimer by that time, had an international following and audience and continued to fight apartheid through writing her novels as her audience continued to read her works. I believe it is because of her international audience that she was never arrested nor detained by the Africaner Nationalist government. South African author and colleague, J M Coetzee has said of Gordimer, "she responded with exemplary courage and creative energy to the great challenge of her times the system of apartheid unjustly imposed and heartlessly implemented on the South African people . . ."
Through her works international readers learned of the human effects of the "color bar" and the punishing laws that systematically sealed off each avenue of contact among the races. Partly thanks to her writings and activism, the apartheid laws were repealed in 1991. 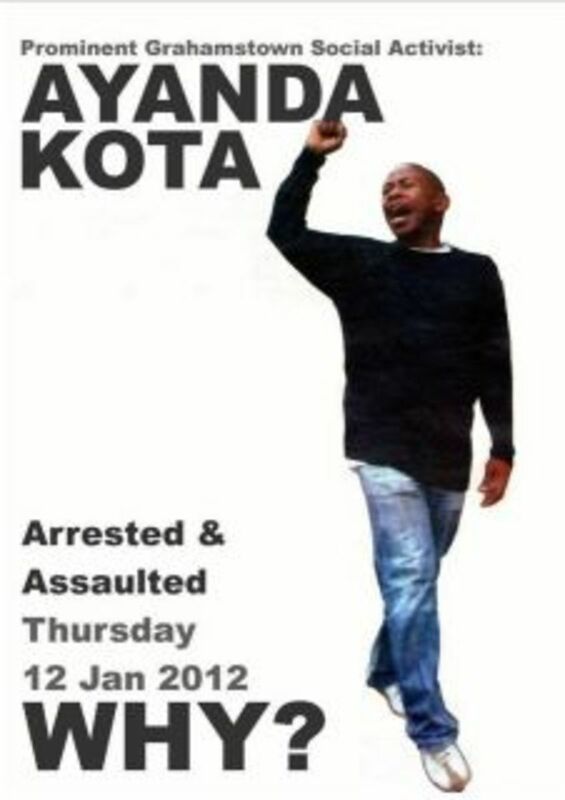 Nelson Mandela was released from prison. 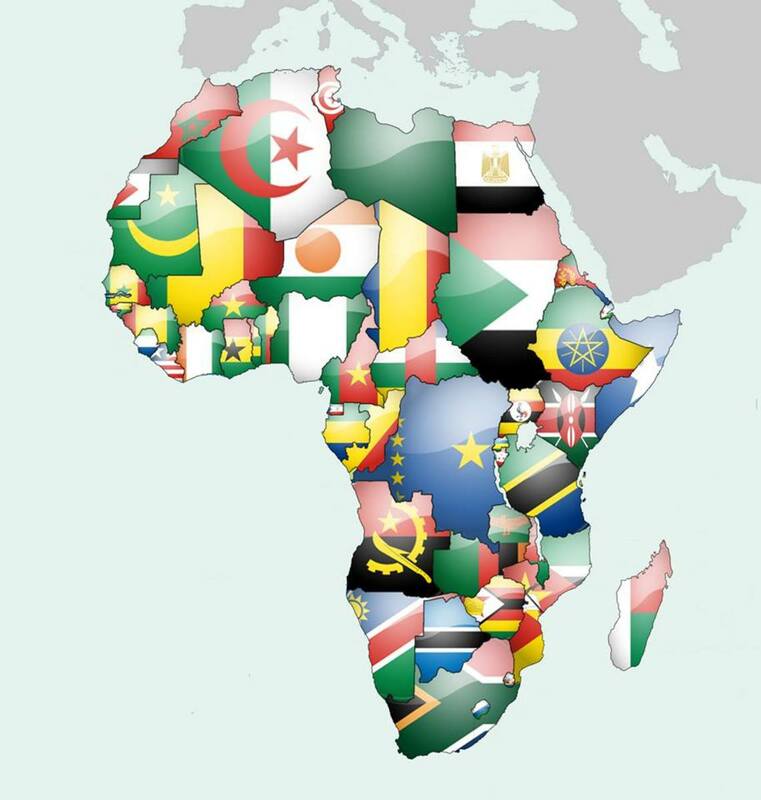 By 1993, a new Constitution was approved for South Africa and in 1994 the walls of apartheid were brought down by the first free and democratic political election. Nelson Mandela was elected president of South Africa and the healing began. 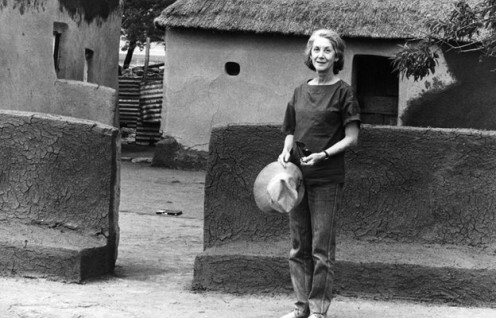 Nadine Gordimer continued to be a voice of non-discrimination and an activist in the fight for patients with HIV/AIDS. In 2004, she organized about twenty authors to contribute short fiction for Telling Tales, a fundraising book for the South African Treatment Action Campaign which lobbies for government funding for HIV/AIDS prevention and care. On lecture tours she spoke out on matters of foreign policy and discrimination beyond South Africa. All her works deal with themes of love and politics, particularly concerning race in South Africa. She also spoke on the ongoing lessons her country has learned from its past and present. She has also spoken out and written novels about the violence and crime rate that has exploded in South Africa in recent years. Her family's statement said Gordimer died quietly and peacefully in her sleep and continued to say, "she cared most deeply about South Africa, its culture, its people and its ongoing struggle to realize its new democracy." Gordimer became one of the literary world's most powerful voices against apartheid through the more than thirty novels she wrote. It has been said, "she produced a body of work in which the South Africa of the late 20th century is indelibly recorded for all time." The major themes of her novels illustrate the consequences of apartheid, exile and alienation. She knew of isolation form her youth when her mother kept her home from school. She wrote unsparingly of race, identity, and place and how repressive political systems etched themselves onto the lives and relationships of individuals. Her most important novel and the one regarded by critics as her best is The Conservationist (1974) for which she won the Man Booker Prize. It contains her most well-formed character. 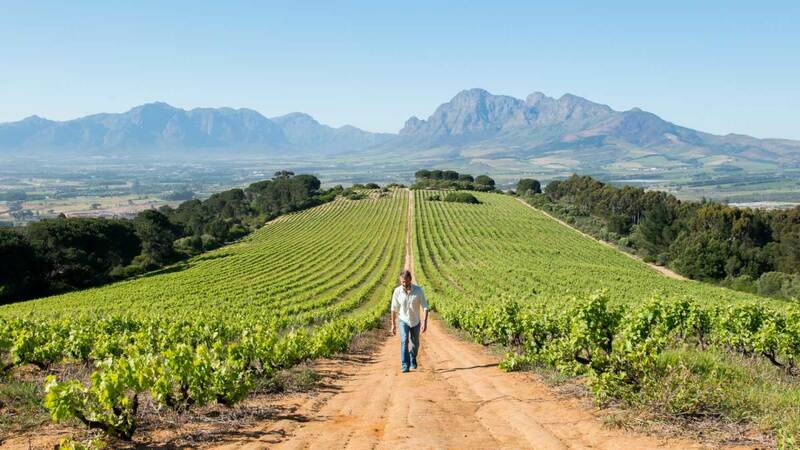 The protagonist is a white industrialist who has purchased a large farm outside Johannesburg, in part to be a rendezvous spot for him and his married, politically radical mistress. It also explores the Zulu culture and the world of the wealthy, white industrialist through the eyes of Mehring, the anti-hero. Per Wastberg describes her novel as her "densest and most political novel" as the conservationist seeks to conserve nature and at the same time to preserve the apartheid system keeping change far away. An unidentified corpse is found on his farm and Mehring does the 'right thing' by giving it a proper burial, but the dead person haunts the work, a reminder of the bodies on which Mehring's vision would be built. Critics have described the whole of Gordimer's work as constituting a social history as told through finely drawn portraits of the characters who peopled it. She explored the mind and heart of her protagonists. Burger's Daughter (1979) written after the Soweto uprising, was one of her novels banned by the South African government. In this novel, the protagonist, Rosa, analyzes her relationship with her father, a martyr to the anti-apartheid movement. As the child of two Communist and anti-apartheid revolutionaries, Rosa Burger finds herself drawn into political activism as well. Rosa learns through her journey that "the real definition of loneliness is to live without social responsibility." July's People (1981) is another one of her banned novels in South Africa and also faced censorship under the post-apartheid government as well. It was seen as "deeply racist, superior and patronizing." Gordimer protested against this treatment of her novel and spoke out publicly against this opinion. In this novel. 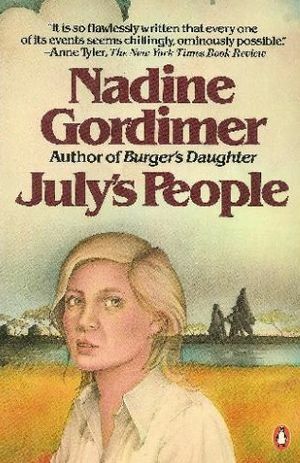 Gordimer's fiction is a bloody South African revolution in which white people are hunted and murdered after black people begin a revolution against the apartheid government. It is the fiction story of Maureen and Bramford Smales, an educated white couple, hiding for their lives with July, their long-time former servant. July's people are his family, his village and the Smales, whom he hides at his family's home in his black neighborhood. The story examines how people cope with the terrible choices forced on them by violence, race hatred and the government. The Lying Days (1953), Gordimer's first published novel, is set in her hometown and is a semi-autobiographical work. It tells of the growing political awareness of a young white woman named Helen toward small-town life and South African racial division. In her novel, Occasion for Loving (1963), she looks at the themes of apartheid and love brought together. Ann Davis, her protagonist, is married to Boaz Davis, an enthomusicologist, but she is in love with Gideon Shibalo and artist and black African. The South African government criminalized such relationships and so she looks at the consequences both face in the confrontation of lawful segregation. 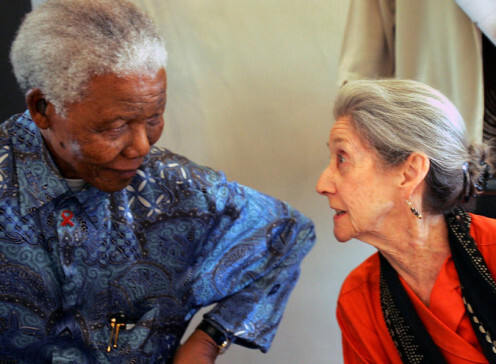 Gordimer published her novel, None to Accompany Me (1994), the same year Nelson Mandela was elected president in the first fully democratic vote in South Africa. One subplot concerns a political exile, Didymus Maqoma, who comes home from exile only to find that he has no place in the current struggle. The post-revolutionary leaders are more in favor of his wife than in him. The House Gun (1998) takes a look at the awful gun violence taking place in South Africa now. This was Gordimer's second post-apartheid novel. It is the story of Claudia and Harald Lingard, a couple dealing with their son Duncan's murder of one of his housemates. This novel speaks to the rising crime rate and the guns that nearly all households have in South Africa. It also looks to the consequences of South African apartheid and the concerns the couple has for their son's lawyer who is black. Will their son get a fair defense? The Pickup (2002) is a story that looks at the relationship of a white woman and an Arab immigrant living in South Africa. Gordimer, through her story, looks at the issues of displacement, alienation and immigration, class and economic power, religious faith and the ability for people to see and love across the wide divides. Julie Summers is a white woman from a financially secure South African family in love with Abdu, and illegal Arab immigrant living in South Africa. Abdu's visa is refused in South Africa and the couple returns to his homeland, where she is now the alien. Julie's experiences and growth as an alien in another culture form the heart of the work. And her most recent and last novel is, No Time Like the Present (2012), in which a interracial couple try to navigate both their marriage and their lives in the troubled post-apartheid society of South Africa. Nadine Gordimer devoted her life to writing about the awfulness of apartheid in her country and the other social conditions that are presently tearing apart her beloved South Africa. She has moved mountains through her writings, plunging on despite censorship, and marveling at the release from prison and election of her friend Nelson Mandela as president of South Africa. She has also mourned his death. On the event of her death, the ANC said, "Our country has lost an unmatched literary giant whose life's work was our mirror and an unending quest for humanity." DDE: Yes, she did have a great mind and knew what to write about to affect change in her country. So glad you enjoyed this and I am sure you can relate living in Croatia. Lady_E: Yes, we were fortunate to have her here on earth for as long as we did. She certainly was a prolific writer and believed in her cause - the ending of apartheid in her country which she wrote about so eloquently. Thanks for reading this. A woman who had a great mind and as a South African this hub made me go back twenty years ago. It's the first time I have read about her. A very remarkable lady who has left a beautiful legacy. Courageous too. Thanks for sharing. Dianna: Yes, she was an extraordinary woman. I hope someone does take up her torch and continue to make a difference. Thanks so much for reading this tribute to her. She certainly was a beautiful woman and person. May her torch be taken up by others who can also make a difference. Hi Maria: So glad you stopped by. I am amazed by this woman who certainly was a great help to bringing apartheid down in South Africa. Her writings sound so interesting and extraordinary. She certainly was a brave woman to continue to write after her books were banned. But, then I'd probably do the same thing. Thanks so much Maria for your comments and I am pleased you enjoyed reading this. I read this once a few days ago and was too tired to make a comment. I was reminded to return today as I saw Martie had posted it is Nelson Mandela's birthday. You have written a comprehensive and honorable tribute to this visionary woman. Thanks so much for reading this and for the votes, Faith. She was an incredible and extraordinary woman and writer. She certainly deserves this tribute. I am so pleased you enjoyed reading this. Martie: I am so pleased you enjoyed reading this, coming from a South African. 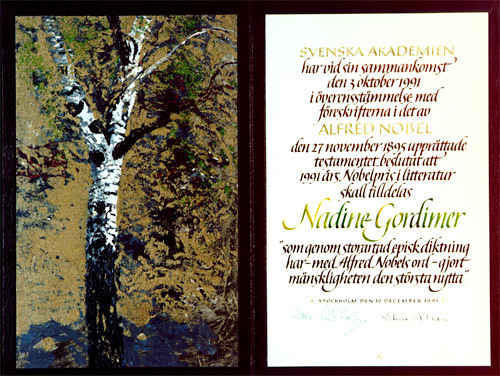 I vaguely remember her when she won the Nobel Prize, but I didn't realize the force of her writing works in your country. She certainly did so much to remove apartheid from your country. She does deserve the tribute and I admire her so much. My cousin's wife met her back in the 70's/80's when she worked for the Department of Defense and said Gordimer was a lovely person and so interesting to talk with. They had a lunch together and discussed trying to free Nelson Mandela at the time. Small world! 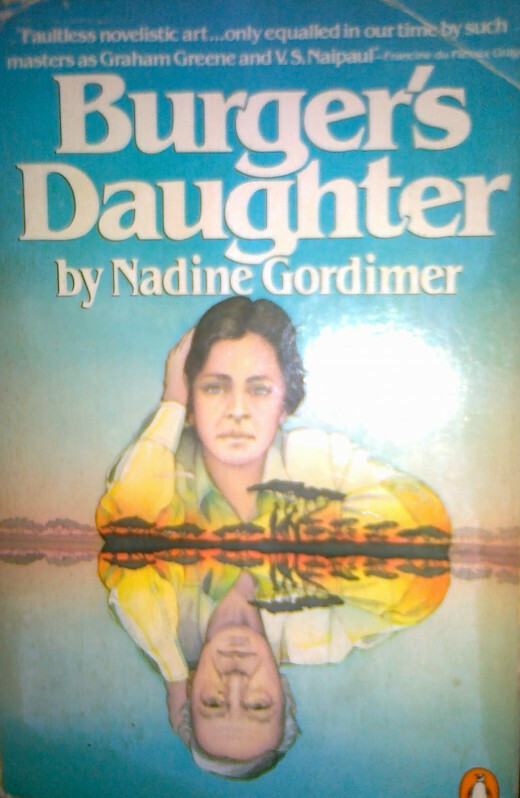 Gordimer truly loved South Africa and continued to write about her problems even after apartheid. Thanks so much for reading this Martie and I appreciate your comments. mckbirdbks: She arrived on the South African writing scene just as the anti-apartheid movement was beginning and she certainly did find her writing niche. Her life's beginnings also set the foundation for her writing career. I find her so interesting and I vaguely remember hearing about her when she won the Nobel Prize, but I didn't look into her background at that time. Thank goodness for the Nobel Prize which immortalizes these literary greats. Thanks so much for your visit and I am pleased you found this interesting. What a wonderful tribute here, suzette, to a remarkable woman who lived a remarkable life bringing awareness, so much so, as to almost bring apartheid to an end. I really enjoyed reading about her life and all of her accomplishments in writing. 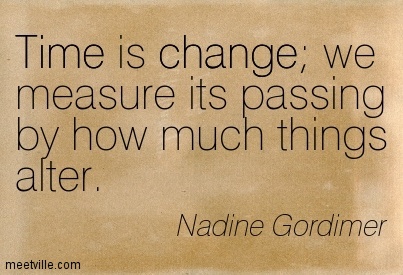 Nadine Gordimer was a remarkable woman. I feel like reading some of her books again. Thanks, Suzette, this is a well-researched hub, paying well-deserved tribute to Nadine. It sounds like she lead a full rich life filled with purpose that she pursued with unrelenting dedication. Her political focus was timely and relevant. Your mini-biography here outlines the dream of many a writer - find a niche, something that lifts you to heights that will carry your voice and fly. Suzette you have done a very nice job of presenting this author for the ages. Nell: Wasn't she something? She lead an amazing life. I know many fought for the end of apartheid in South Africa, but she practically single-handedly brought about the end of apartheid through her many novels and short stories. Talk about the right person for the right civil rights movement. Oh my! I would have loved to have known her. Thanks so much for reading Nell and I am pleased you enjoyed it. She sounds like she was an amazing woman Suzette, I have never heard of her before, sadly, but her books sound wonderful, she kept up the fight against racism, we need many more like her. Bill: All the writers out there - I don't think we have to worry who will replace the great ones. The great ones are great because of their entire work which can only be seen and understood when they are older. 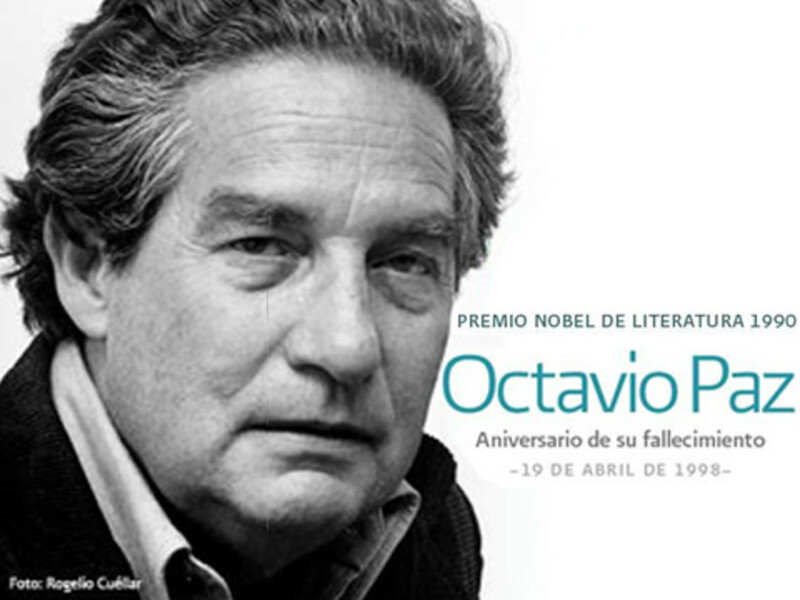 Look to the ones winning the important book prizes today, and they will be the Nobel Laureates of tomorrow. I am amazed that Gordimer almost single handedly through her writings brought down apartheid in South Africa. Of course, Nelson Mandela had a lot to do with it also even being in prison. But, to think that she doggedly kept writing even when her books were banned by her own government. That must have been devastating to her. It really takes endurance and resilence to keep on writing. It truly takes a special person to do what she did. Thank goodness for her.